My stay was very nice. Everyone was wonderful. Evan, my social worker has made me feel comfortable and has helped me along the way. If I had to return in the future I would. Thank you Mildred for leaving a review. We consider you family and we are so pleased to hear you felt comfortable here at West View. Your feedback is appreciated. I am very satisfied with my stay. However, I would recommend more variety in food choices. The staff were very kind and excellent. Thank you Clair for your feedback, we really appreciate it here at West View. Everyone was so nice and respond time for everything was on point. They took care of me really good. The aides took the time to smile even though they were very busy. I had such a wonderful care everything was nice and clean, the food was excellent. The girls were fantastic and all the nurses were great. I love them all and miss them already! I will come back if I need help again and so will my family members. Mania, thank you so very much for this most kind review, it is much appreciated. Mom is at West View Nursing Home. It's a great place, and she is doing fine there. The staff are great too! They do whatever you want them to do and they are very helpful. They also take good care of the residents as well. The food is great. Overall, they are just great. 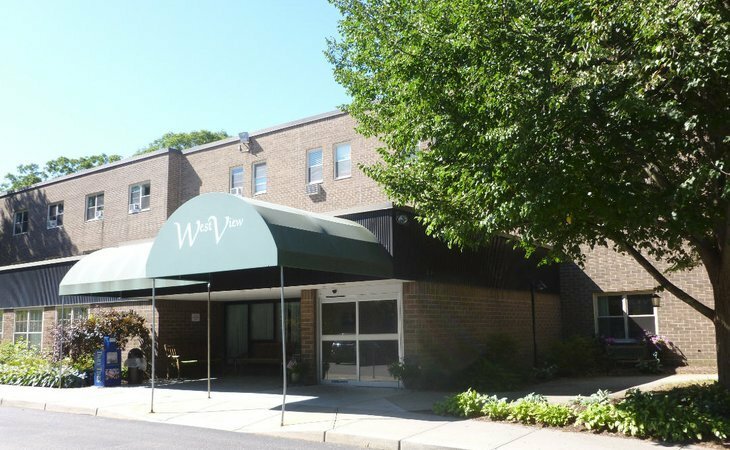 West View is a skilled nursing and rehabilitation center that has been providing quality health care services to Rhode Islanders since 1978. Our team of health care professionals demonstrates this tradition of excellent rehab and nursing care each day, working to partner with each resident and their family to achieve maximum recovery and maximum satisfaction, all in a warm and caring setting. Our commitment is to treat every resident with the respect and dignity that he or she deserves, and to involve them and their family in the development and implementation of their care plan in order to maximize positive results. We provide private and semiprivate rooms all offering all the best amenities. We have living rooms and dining areas in each living unit, and a spacious main dining room on the ground floor. We also offer an attractive and secure courtyard, complete with perennial flower gardens and walking paths that provide a peaceful retreat for residents and families. We are a Medicare skilled nursing facility that also accepts Medicaid as well as private payment and insurance. What should caregivers and potential residents know about West View Nursing & Rehabilitation?